Since some fermentation recipes require a higher stable temperature for the fermentation to successfully take place, you may find yourself with the need to make your own fermentation incubator. Many ferments including yogurt, bread dough and tempeh require a higher-than-room-temperature environment in order to grow. 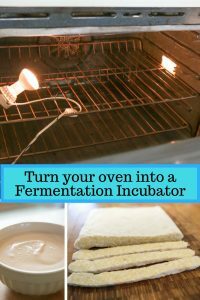 When I am in need of a fermentation incubator, I generally use my oven since it is a contained area which is easy to warm and has great insulation. Although not strictly required, I’ll also generally use a temperature controller which helps to provide a very stable temperature environment. With a stable and controlled temperature, you will find that you end up with more consistently successful fermentations. If you don’t have access to an oven and/or a temperature controller, I’ve included other means, including a cooler, to creating a fermentation incubator. Some ovens can simply be set to an appropriately low temperature and if so they are a great option. If, like mine, your oven has a minimum temperature that is too high (mine is 140F), you can still use that oven effectively. If your gas oven has a pilot light, if the door is kept closed, the oven will likely maintain a nice warm temperature. You’ll need to measure that temperature to see if it is a suitable environment for your ferment. 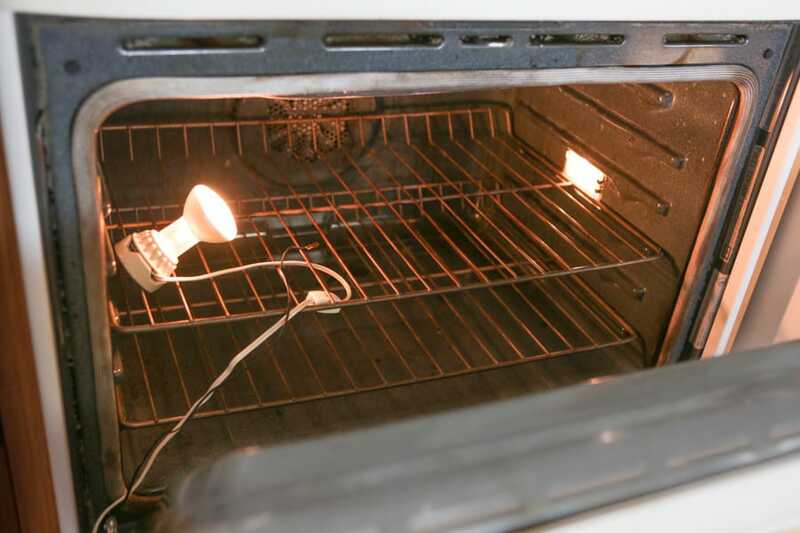 If your oven has a light bulb which puts out sufficient heat, turning that light on may adequately warm the oven as well. If your oven doesn’t have a pilot light, you can preheat it by turning it on for a couple of minutes and then turning it off. Place your ferment in that warmed oven. As the temperature drops over time, you simply pull out your ferment when necessary and again heat the oven for a minute or two. I’ve used this technique successfully for making yogurt and also for leavening bread dough. You can also place an incandescent lightbulb in there turned on or a kombucha heating pad to keep the oven warmed, perhaps propping the door open slightly as needed. The smaller kombucha heating pads only put out 7 watts of energy, so they are fairly slow at raising the temperature of your oven. If using an incandescent bulb, a socket attached to a dimmer switch is best so you can adjust heat output that way. Here’s a light socket with a nicer wooden base that can double as a desk lamp when not used for incubating. Attaching your light socket to a temperature controller is yet more ideal as you can control the temperature more accurately and consistently that way. an insulated incubator – again, my preference is an oven, but you could use a cooler, an old refrigerator, or any other container that you can insulate sufficiently well. While the temperature controller stays outside of the incubator, the temperature sensor (which comes with and attaches to the temperature controller) and the heat source (light socket with an incandescent bulb) are placed in the incubator and then plugged in to the temperature controller. This light socket has it’s own base and can double as a decorative desk lamp. Set the target temperature on the controller and whenever the temperature in the incubator falls below that threshold, the electric heat source which is plugged in to the temperature controller automatically switches on. Once the target temperature is reached, the heat source will automatically be switched off. 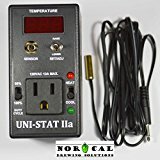 Personally, I use the Uni-Stat IIa temperature controller as it is a very dependable model that can handle heating and cooling, but this temperature controller appears to work well for just heating and is less expensive. There are several possibilities for alternative insulated containers for your fermentations including a cooler, an old refrigerator (not plugged in of course! ), or a thermos for smaller liquid ferments. Just get creative with what you have on hand. To bring the insulated container up to a higher temperature, you can boil water and place in in bowls/jars within the insulated container. Refresh the liquids as necessary. You can heat sand or stones in a ceramic baking dish in your oven and use those as a heat source too. When I bake bread, I always preheat the ceramic bowl I will use for raising the dough by filling it with hot water for awhile. Some folks will want to use a dehydrator as a fermentation incubator. 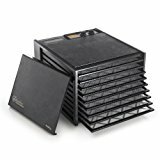 Dehydrators generally have a thermostat which allows you to set a certain temperature. I have an Excalibur dehydrator which works fine for this task for some fermentations, but it has a minimum temperature of 105 degrees, so if using for something like Tempeh which needs a temperature closer to 90 degrees, you’ll need to slightly keep the door propped open and monitor the temperature. The Magic Mill food dehydrator has a 95 degree low-end temperature option, so may be a better call if you want to make tempeh (98-105 degrees seems to be the high-end for tempeh). Instant Pots have a setting which makes them great for making yogurt or other small batch liquid ferments. 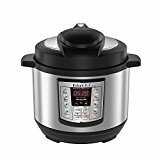 A versatile tool, the Instant Pot has pressure cooker functionality which also makes them helpful for quickly cooking the beans used in making tempeh. People is cooler climates can find it helpful to make their kombucha on a kombucha heating pad. When not making kombucha (i.e. for higher temp ferments), kombucha heating pads don’t put out a lot of heat, but can be placed in an incubator (oven, cooler, old refrigerator) to keep that container sufficiently warm. Unless you use a temperature controller, it will be harder to maintain stable temperatures this way, but is still possible if you watch and measure temperature closely.